Backyard storage sheds have multiple uses. Man caves have always been an obvious choice. Recently, She Sheds are making a splash on the scene. But what about a Kid Cave? Kids need a place to go an relax, just like their parents. In fact, wouldn’t you, as a parent, rather have the house to yourself and send the kids out to the shed? I know I would. Backyard sheds can be a magical place. 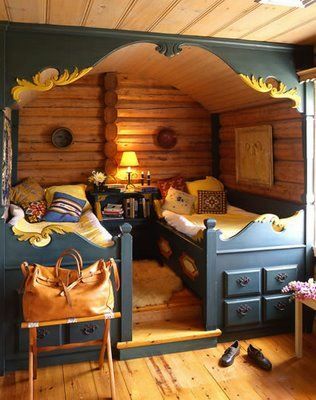 Make your Kid Cave special and beautiful so your kids will want to play out there all the time with their friends. Just look at this cute kid cave below. 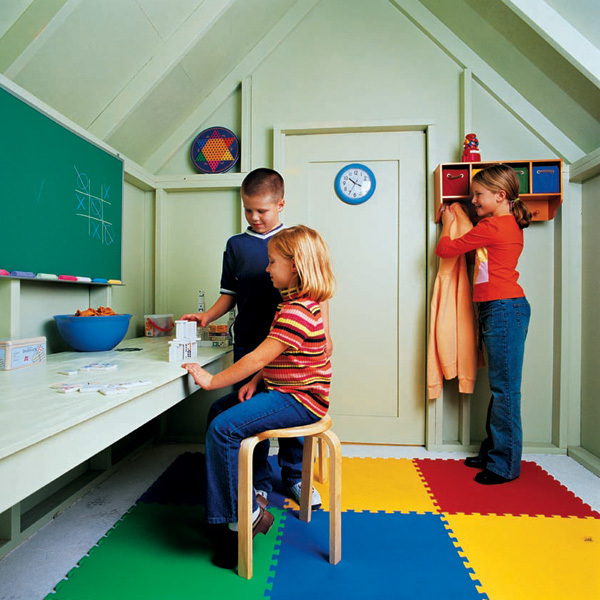 Children can do their homework, play house with their friends and accessorize with their favorite stickers or posters. 8×8 shed transformed into a kid cave. The exterior is just as adorable, don’t you think? 3. Make your Kid Cave comfy and cute with pillows and throw rugs. Naturally, there will need to be a toy kitchen, because all kids love kitchens, boys and girls alike. 4. Kids love splashy and bright colors. Swab on a brilliant coat of paint and you’re halfway there! 5. Be sure to give the kids plenty of activities in their kid cave. 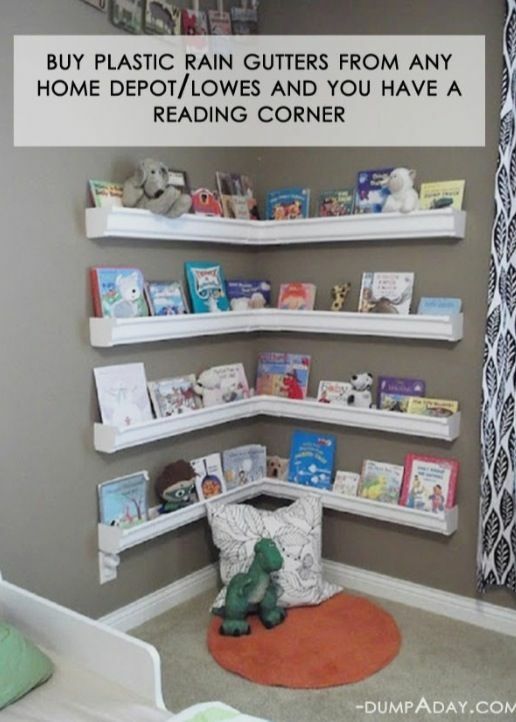 A reading nook is an obvious addition to the Kid Cave. 6. 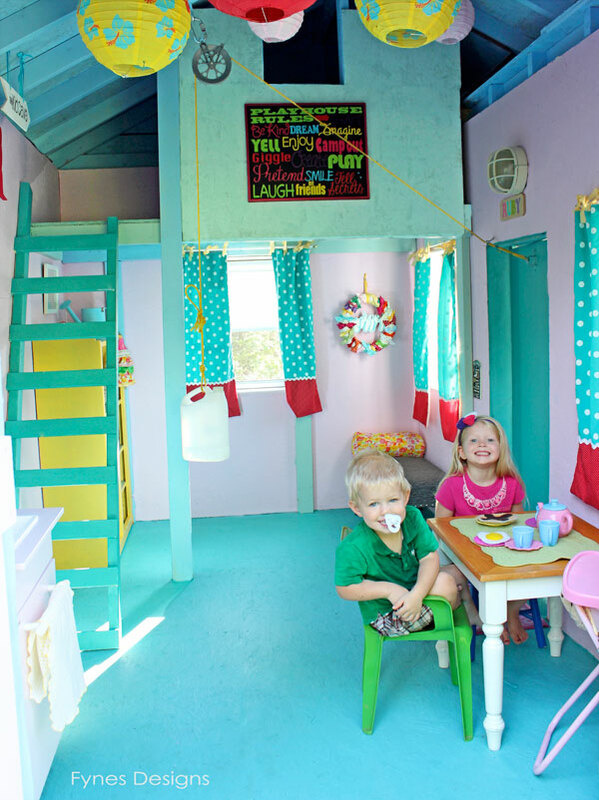 Kid Caves aren’t just for littles. Your older kids will enjoy a little separation in the backyard. Instead of camping out, let your kids have sleepovers in their Kid Cave! 7. Kid Caves aren’t just for little kids. Back in the old days, kids hung out in the basement. Nowadays, maybe kids need more space or just a spot where they can make more noise. 8. No need to make it party central though. Toss a few relaxing spots in and hang some photos. 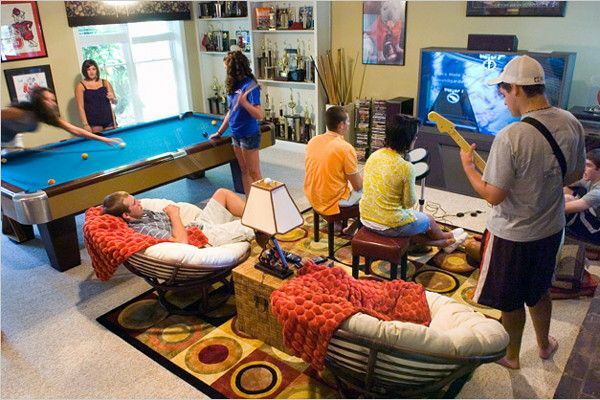 You’re teens will be in Kid Cave heaven! 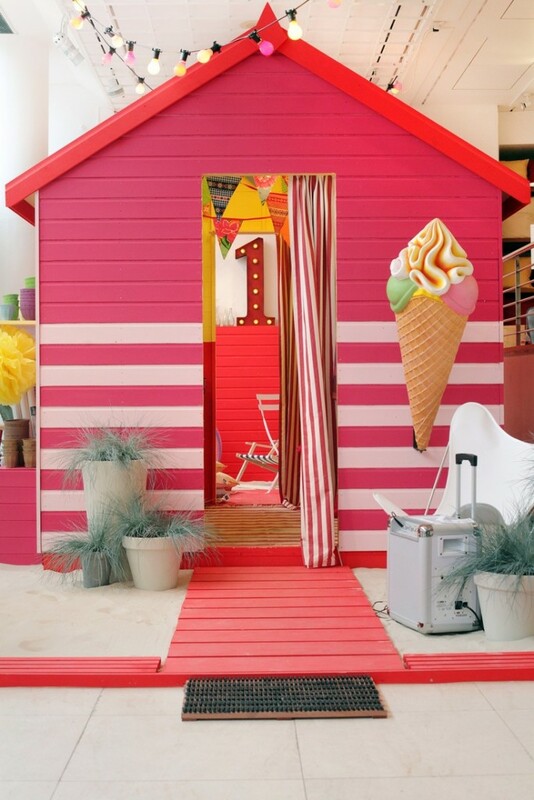 Backyard storage sheds are so versatile. Man Cave, She Shed or Kid Cave, whatever you desire, it can be yours. 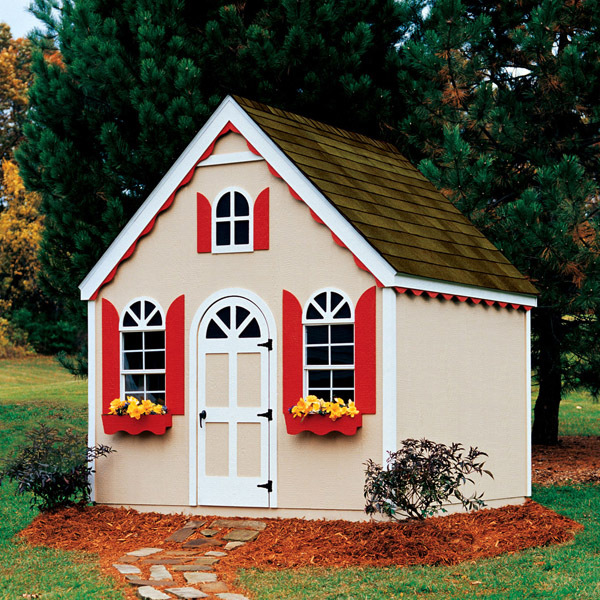 Individualize your shed for your own personal needs. Share your Kid Cave Design with the World! 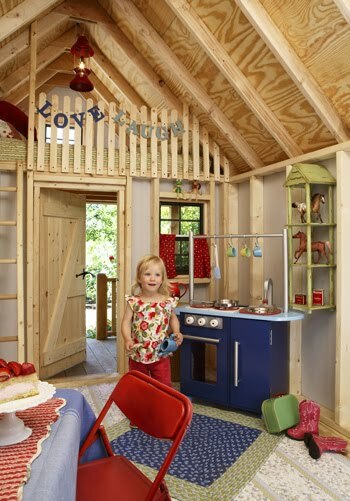 Have your own kid cave shed design you would like to share with the online community? Send me your images to bdeitsch@backyardproducts.com. We will share your image on our blog and Pinterest account. Or share via #kidcave. This entry was posted in Backyard Landscaping, Decoration, Organization, Storage Solutions. Bookmark the permalink.